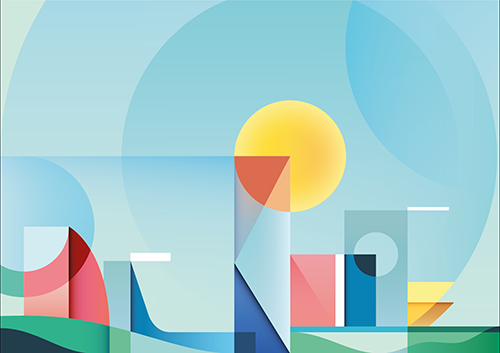 Ray Oranges excels in creating modern, abstract illustrations that are often influenced by his love for architecture and geometry. 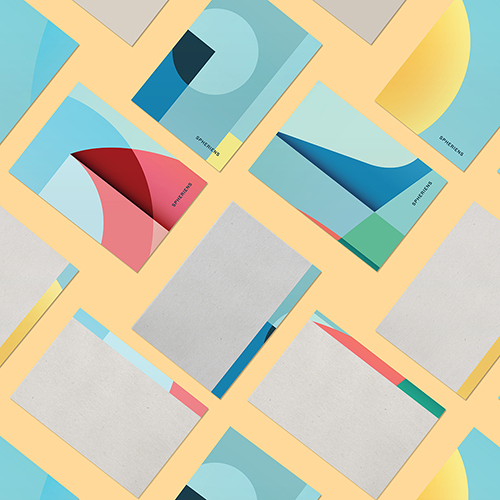 Spheriens, a new law firm based in Florence, Italy, founded by a group of young lawyers, wanted to rebrand and build a modern visual identity that would truly represent their values and ethos. Working with design studio Bunker, Spheriens wanted to move away from the traditional visuals used in the legal sector and use a striking, modern colour palette. To do so, they were looking to collaborate with an illustrator that would be able to think out of the box and create an artwork reflecting their modern and fresh approach — and with his sophisticated abstract style Ray Oranges was the perfect talent to collaborate with. Ray took inspiration from modern cities that challenge the principles of architecture. 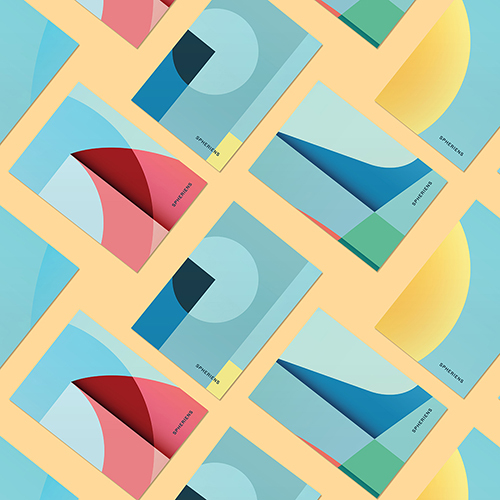 He created a single artwork, that was then declined across various applications such as business cards, notebooks, website and the office mural, all showcasing his great use of colors and sense of geometry. “I liked working on this project because the initial idea was to create a single illustration, and then “unpack” it in many artworks”, explains Ray. 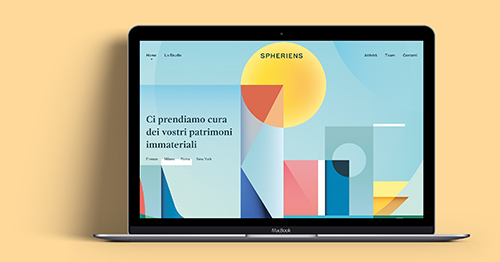 The illustration contributed to creating a strong visual identity for Spheriens, with beautiful pastel tones and clever use of shapes reflecting their new brand through a harmonious composition.